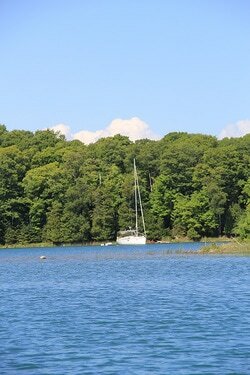 Drummond Island is ideally situated for water sports, whether cruising, paddling, or day-sailing. It lies amidst smaller islands at a point near where Lakes Huron, Michigan and Superior come together. Just 35 miles from the Straits of Mackinac leading to Lake Michigan, the waters of the St. Mary’s river flow from Lake Superior on Drummond’s west side, and the famed North Channel of Lake Huron starts on the north side of the island. In beautiful Potagannissing Bay with its many islands, the yachtsman can enjoy sailing from an anchorage at Harbor Island or a slip at Drummond Island Yacht Haven, returning in the evening after a day spent enjoying the up-close views and unfolding vistas of all the islands in the bay, as well as Canada’s St. Joseph Island to the north. ​Another interesting day trip is a run out to the restored DeTour Reef Lighthouse. The DeTour Reef Lighthouse Preservation Society has worked hard to renovate the light and it’s worth the time to pass by and see. It is possible to circumnavigate Drummond in a day, exploring the deep waters close in to shore for glimpses of wildlife, but why pass all the cozy anchorages without stopping in? Further away, a short trip to the west brings the visitor to Les Cheneaux Islands, their many passages well-marked for navigating the protected waters among the beautiful summer cottages there, with numerous vintage mahogany runabouts zipping about. Mackinac Island is but a short trip from there, its historic harbor inviting the cruiser in from the open lake. A slightly longer ride to the east of Drummond Island brings the traveler to the heart of the North Channel, known world-wide for its stunning scenery and quiet anchorages. 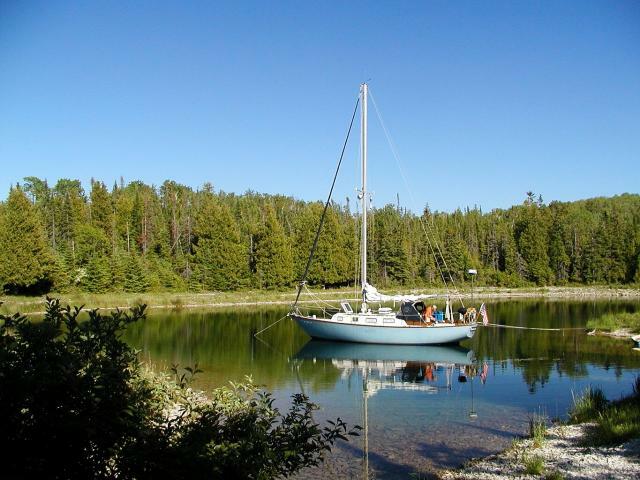 The relatively protected waters there make a summer cruise from Drummond Island an enjoyable sojourn, with the wild magic of Georgian Bay just beyond. To the north, up the St. Mary’s River, lies Lake Superior for the intrepid boater. The largest lake is said to contain 10% of the world’s fresh water, and is truly an inland sea. Isle Royale, the Keweenaw Peninsula and the Apostle Islands are just a few of the favorite destinations there. All in all, Drummond Island is a great place to visit, with possibilities in all directions; no matter which way the wind blows, the sailing is fantastic! ​as well as miles and miles of open spaces." Boating has long been a favorite past time for locals and visitors. Stand Up Paddle Boarding, or SUP, in Michigan has exploded in popularity over the last few years. Because of our quiet bays and small inland lakes, Drummond Island has some of the best unknown SUPing spots in the Upper Peninsula. The Island offers seemingly endless shoreline to explore. 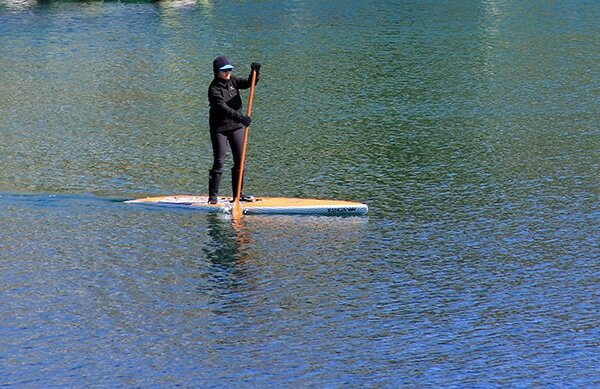 For your safety, always check conditions at the area where you’re planning to SUP. Our island SUP rental providers can give you insider tips to explore the outdoors like a local. Visit these locations for rental details. The paddling opportunities in and around Drummond Island are simply outstanding. Imagine paddling the path of the Native Americans, missionary routes, French voyagers, the 18th century British military, 300 years of North American trade and commerce, as well as recreation that includes challenge, adventure, risk and environmental interpretation. From experiential learning to high adventure risk and challenge, paddling the Drummond Island Heritage Water Trail will provide that opportunity. The following locations offer kayak or canoe rentals. 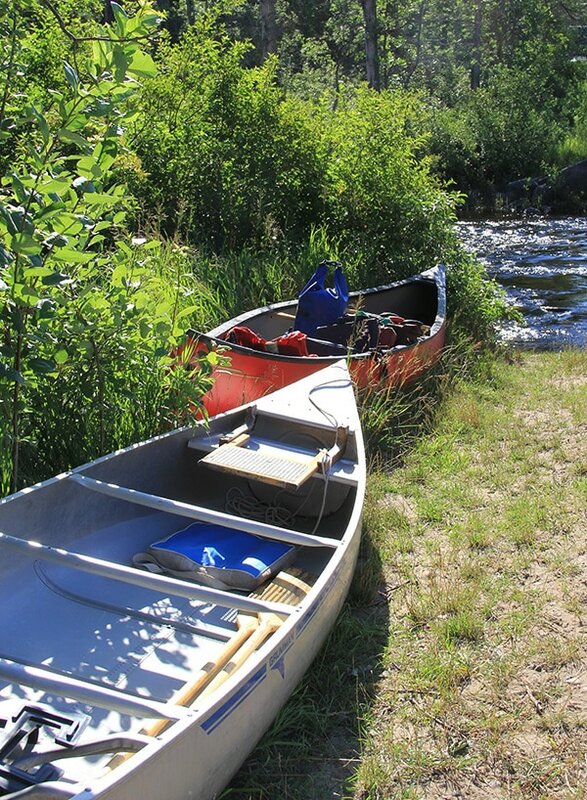 For more information about the Drummond Island Heritage Water Trail, visit our "Kayaking" page. There are 17 Drummond Island shipwrecks offshore, providing ample diving exploration. Storms, heavy seas, and navigation errors have all contributed to shipping losses in and near the DeTour Passage. The remains of lost ships rest there in fairly shallow waters easily accessible to divers. Some locations are shallow enough for snorkeling. 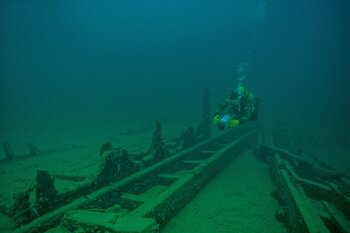 For a list of locations and descriptions, visit our "Shipwrecks" page. All year long, the avid angler can find fantastic fishing on Drummond Island! Spring and fall brings the perch into shallow water. 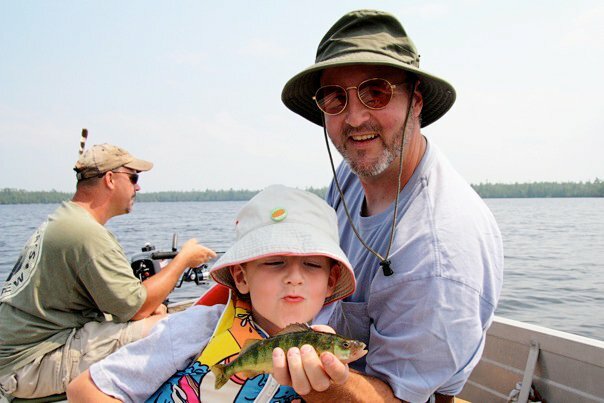 All sizes and age classes of perch are present, insuring years of great fishing. Come summer, the focus turns to the opener of northern pike and walleye fishing. The Potagannissing Bay and Whitney Bay are popular areas. Excellent smallmouth bass fishing opportunities exist where rocky shorelines abound. The end of June thru July brings the aquatic mayfly hatch; ciscoes, herring and whitefish are soon to follow. Winter finds ice shanties dotted around Whitney Bay and from Scott's Bay to Harbor Island in Potagannissing Bay. Anglers seeking northern pike use a combo tactic of spearing and tipups. Perch can be found in deep water this time of year. For more information about fishing on and around Drummond Island, visit our "Fishing" page.